In conjunction with the VFW Post 3166 Toy Run, Southern Pioneer Electric will be taking donations of new toys at their office locations. The toys will benefit children of all ages throughout our service area. The VFW Post 3166 will be holding there Children of Our Hearts Toy Run on Nov. 19. The ride will start from the Walmart parking lot in Liberal at 1:30 p.m. 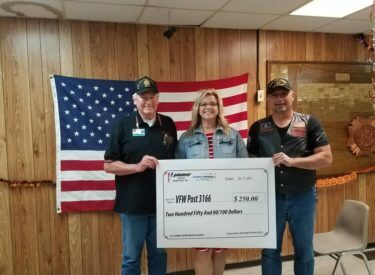 Beyond the Toy Run, the VFW will be hosting a lunch to raise money for their cause, starting at the VFW at 3 p.m. Lunch will be $7 a plate and there will be door prizes. For Donations at Southern Pioneer Electric, they ask that all donations be in by Nov. 30. Please spread the word and help the VFW give a child the holiday they deserve this year. The VFW would like to collect all donations by Nov. 30.